If you are a member of the media and would like to speak with someone about writing a story, please contact Michael Leen at [email protected] or call +1 (202) 682-1510. FINCA International was founded in 1984 on a radical notion: giving small loans to the poor has the power to transform entire communities in a sustainable way. After impacting tens of millions of lives with responsible financial services, we are widening our focus to catalyze further economic growth and alleviate poverty in underserved markets around the world. We remain boldly committed to market-based solutions, and are supporting the rise of social enterprises delivering basic service and financial innovation to help low-income families and communities achieve a better standard of living. For more information, visit www.FINCA.org or follow us on Twitter @FINCA. Village Banking™ was pioneered by FINCA International’s founder, John Hatch, in the 1980s. Today, FINCA International is the founder and majority owner of FINCA Impact Finance, a global network of 20 community-based microfinance institutions and banks that provides innovative, impactful and socially responsible financial services to enable low-income individuals and communities invest in their futures. 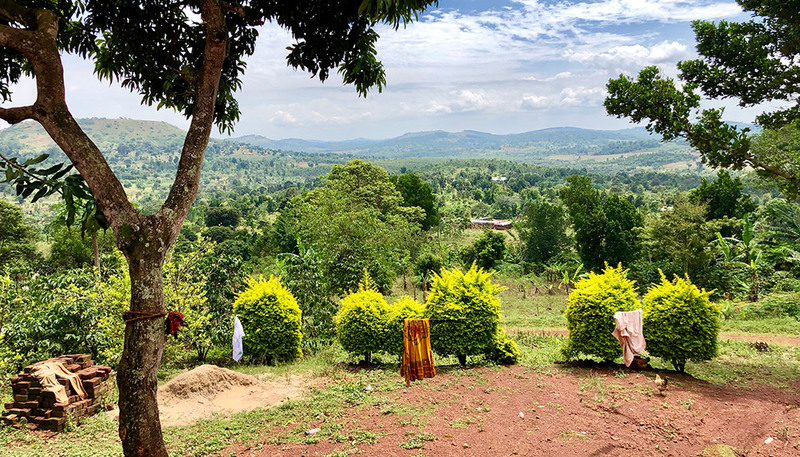 BrightLife, a social enterprise by FINCA International in Uganda, provides last-mile distribution and end-user financing for basic service products, including solar home systems, improved cookstoves and productive use assets. These life-enhancing products—made affordable to low-income customers through pay-as-you-go financing—help create healthier and safer homes, increase productivity, reduce household expenses and provide additional income-generating opportunities. Through BrightLife, FINCA International pairs access to finance with access to energy to create pathways to financial inclusion for the unbanked. FINCA Ventures is an impact investing initiative of FINCA International that leverages a global microfinance network to catalyze market-based solutions to poverty. It does so by providing patient capital and pre- and post-investment support to high-impact, early-stage social enterprises that offer affordable, high-quality and life-enhancing products and services for low-income families. FINCA Forward is a two-year pilot managed by FINCA International and funded by a grant from USAID, through the PACE Initiative and Feed the Future. The purpose of FINCA Forward is to test the hypothesis that bringing early-stage fintechs and financial institutions together in a proof-of-concept environment can help small and growing businesses overcome the pioneer gap and enable microfinance institutions to affordably and systematically onboard emerging fintech innovations to better reach underserved and underbanked populations. Research and impact measurement underpin all of our programs. Our research team uses a customer-driven research methodology to align programs with mission and to provide useful intelligence for enhancing our work. The aim is to ensure that our microfinance and social enterprise programs are in fact catalyzing greater resilience and opportunity for poor and low-income families, helping them to achieve a better standard of living. Microfinance client-level data is regularly published on our social performance dashboard. To see an archive of FINCA International annual reports and consolidated financial statements, visit Financials & Reports. For a list of frequently asked questions about our work, read our FAQs . For press releases, media coverage and insights, visit our Newsroom. For official logos and photo assets, please visit Google Photos. For video content, please visit our official YouTube channel.